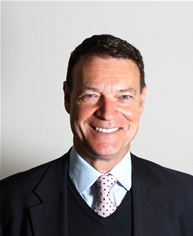 Chris Sullivan, former Deputy Group Chief Executive of the Royal Bank of Scotland Group plc, has joined Elixirr Partners LLP as Partner and Client Chairman, a market-facing role across all industries, effective 1st May 2015. In joining Elixirr’s Partner team, Sullivan has made a powerful statement about the fast-growing firm’s positive future as they invest in growing their UK business. Elixirr position themselves as a diverse firm of entrepreneurs and Founder and Managing Partner, Stephen Newton, is determined that they walk the talk. Chris did not tread the privileged path – he earned his way into the Boardroom, beginning his career as a clerk in a Welsh branch of Lombard, after earning £5 a week by juggling surveying with auctioning cattle at an agricultural market. It’s this entrepreneurial attitude that sparked Sullivan’s fervent support of growing small businesses. “I could not be more delighted that Chris has joined my Partner team – this is a huge coup for us to have such a prominent leader join our firm. He joins us at the perfect time, a time when we are really accelerating our growth in the UK. Who we are as a firm, entrepreneurs with serious industry and consulting expertise, makes us perfectly placed to help our corporate clients respond to their new, non-traditional competitors – fast-moving, innovative startups who are threatening their market position. As well as attracting serious players from industry to the firm, Elixirr prides itself on what Newton describes as “growing our own timber”. Accelerating the partner team to 14 strong is the upcoming appointment of a high-profile insurance lead from one of the Big 4 consultancies, and the promotions of three current Elixirr Principals effective 1st May 2015. Retail specialist and Elixirr’s second female Partner, Jill Ross, is formerly of Accenture and leads Elixirr’s Learning & Development capability. Financial services specialist, Dieter Halfar, is formerly of Absa/Barclays Africa and Elixirr’s lead partner in South Africa. Joe Dall has worked for Deloitte and EY, as well as for Apple and NS&I. Dall is Elixirr’s Card & Payments lead.